Fig 1 : The meter as it is. Fig 2 : The Shunt resistors. Batteries are magic storage devices of electrical energy. To have and idea how well your battery is functioning requires monitoring. If you want to know the condition and health of your battery this meter is the solution. The meter works with a heavy-duty shunt resistor that can handle 100Amps. 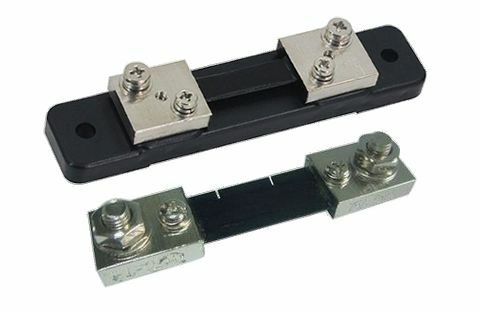 To monitor the battery voltage and current aswel as for battery charge and discharge a toggle switch is added for switching between battery charging and discharging. A User and installation manual including a schematic . No extra materials are needed to install this monitor other than a screwdriver and some 18..22AWG gauge wire. Everything is packed in a strong carton box. This meter is available in limited volumes. 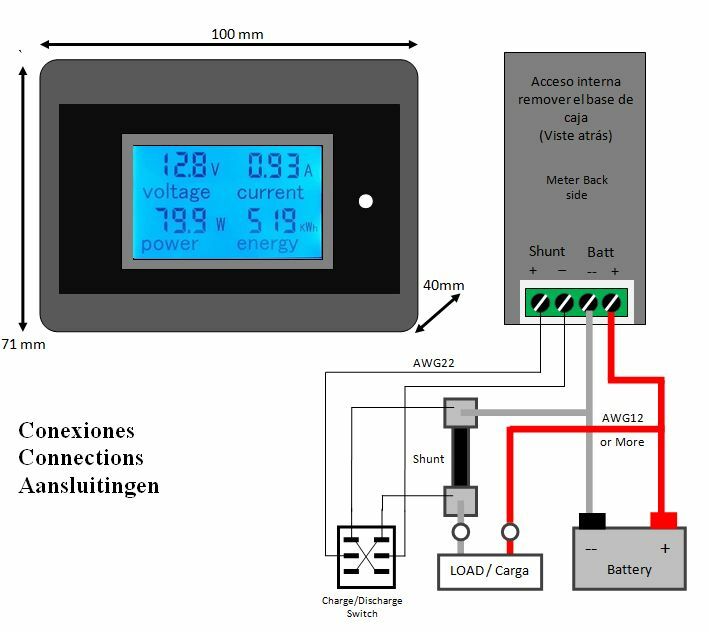 You can order it by sending an email to: info@holamex.nl using your email program or else by activating this link “I’m interested in this battery monitor” and send a request with the message that you want to buy or or want to know more about this monitor. The cost of the meter is as follows. Medidor de electricidad inteligente para los hogares mexicanos.